Audio Marketing Secrets For Getting New Clients And Customers For Your Business...."
Hi I'm Michael Senoff and I'm going to reveal to you how you can be selling products and services without hiring sales people, without knocking on doors and without spending money on newspaper, magazine, radio, TV, direct mail, pay-per-click or postcard advertising. And I'll do all the work and you won't have to worry about a thing except being able to talk to me one time only on an ordinary telephone. But first, read what a few of my clients have to say about my audio interview service and what the results of using my service have meant for them. "There Are Just a Few Writers Whose Skills I Envy. Michael Senoff Is One." Nobody has better mastered the art of telling stories - seemingly artless stories - that lure you and beguile you so effectively that you hardly realize you're being persuaded - until it's too late. "Drayton Bird knows more about direct marketing than anyone in the world. His book about it is pure gold. His speeches are not only informative, but hilariously funny." "One Of The Gems Of The Internet." Michael Senoff is a great interviewer, a masterful marketer in his own right and knows how to dig deep to get to the good stuff. If you want to supercharge your own marketing brain, load up on this amazing free site. "The Smartest Person I know." My name is Art Hamel and Michael refers to me "AS THE MOST FAMOUS PERSON THAT NO ONE KNOWS". Michael has kept my name before the Merger and Acquisition Community "INTERNATIONALLY" for the past 20 years. Thanks to Michael I am on the telephone with people from all parts of the world almost every day. I am assisting them while they buy a business in their country. We started buying businesses with profits of over $1,000,000 35+ years ago. The business did not take off until Michael got involved. Today all of our deals internationally are for business purchases making over $1,000,000/ year. We have had the pleasure of working with Michael Senoff for 7 years. In my 53+ years in business, he is the most honest , capable businessman that I've ever worked with. We had taught many thousands of people in our seminars over a 15 years period and sold many thousands of our Business Opportunity Cassette Programs. We were phasing out and selling the last of our business buying programs because we figured it was all over. Then, Michael Senoff came along, beefed up the program and converted it to a CD program. He added a web site and the rest is history. Michael, continued to build the program up for the past 7 years. Michael is a genius and very humble about his great talent. Michael, you are the greatest and smartest person I know. "I Absolutely Hate Michael Senoff And His Seminar" Program!" First, because Michael and his "Hard to Find Seminars" program gives away so much of the content for which those of us in the Professional Sales Training/Speaking/Seminar/ Consulting/Coaching/Script Writing businesses charge big bucks. That's why! And not only that, Michael is so persuasive that he even talked me into giving away some of my most valuable stuff for free, too! Damn Michael! Damn him! Why would I, wily old Ben Gay III, fall victim to that? Because Michael's so good at interviewing folks that I found myself coughing up stuff I never give away for free! In fact, if you listen to the sessions I did with him, you'll be absolutely astounded to hear exactly what I revealed! Except in high-priced, private, closed seminars with close friends/clients, I've never done it before! Never. Be interviewed by Michael Senoff at your financial risk! But listen to his many interviews as your path to riches! "Politely Relentless -- You Left No Stone Unturned." I want to thank you again for doing a great interview with me. "Above and beyond the call of duty," "taking the patient, thorough approach of a master who appreciates excellence," and "originality in light of the real needs and interests of the end user -- the person who will ultimately listen to the interview," are all phrases that come to mind. As you know, I've worked as a journalist on and off for 41 years. I have top experts in their fields, who are very good at asking questions, telling ME that I'm able to pull stuff out of them that nobody else has been able to. Something they never thought they'd ever be able to find in an interviewer outside of themselves. I'm not so sure that my confidence in my abilities focus on how uniquely skilled an interviewer I am, but I know I'm good at it. And frankly, no one has ever been able to pull stuff out of ME the way you did. In fact, if you check my blog, you'll see that I jokingly referred to you as an Andy Sipowicz (of NYPD Blue fame) -- but without the violence or the rudeness! Meaning, that you were politely relentless -- you left no stone unturned. You have great skill and really put your heart into what you do. If ever you have someone who'd like to get a reference on whether being interviewed by you is time well spent, send 'em my way. I'll convince them that the process by itself is more than worth the time. And the fine product you painstakingly put together afterwards -- the finished interview itself -- is just gravy. So thanks again, Michael. I learned a lot about myself in the process of reaching for answers to your questions. And I learned some new, positive things about interviewing others, too. "Nothing Short Of A Golden Lead Generation Asset." The interview I did with Michael has been nothing short of a golden lead generation asset. He is such a talented interviewer and they way he pulls it together is like hiring a top-level production house to create a great product that never stops selling. So many of our customers tell us that the interview I did with Michael was the spark that caused them to click our order button and join our program. Thanks Michael for sharing your talent helping to create such a powerful interview. "Over $100,000 in new Business over the last 2 years, including $37,700 from one single Client." As you know, I conducted up to 22 Speaking engagements per month for over 20 years. Once I decided I no longer wanted to be a 'road warrior' I started learning how to improve the marketing of my Audio and Video Products and Consulting Services on the Internet. Over the last 10 years I've have been Interviewed countless times by National Magazines and Radio Programs, have conducted over a dozen Webinars both personally as well as being co-promoted by other famous Speaker/Trainers, posted over one hundred Articles to International Magazines and Ezines, made over a thousand Posts to Blogs and Discussion Groups and 18 of my 90 Training Videos are available for free on every major Video Site on the Web. Many of these efforts helped explode my Product Sales and Consulting Services from 15 to now over 65 Countries around the World. Being a numbers freak, I track every Sale and even Newsletter subscription but there is one single source which has consistently out performed every Marketing idea I've ever been involved with and that's the incredible Interviews Michael Senoff did with me at 'Hard to Find Seminars' two years ago. Michael is not only a great Host and Interviewer, I later found out what a masterful job he does at promoting his interviews to the search engines. As a direct result of my Interview with Michael Senoff, I can identify over $100,000 in new Business over the last 2 years, including $37,700 from one single Client. I now have Consulting and Mentoring Clients on 4 Continents and a big part of that is because of Michael Senoff's 'Hard to Find Seminars' Interview. Mike . . . you are "FANTA$TIC". "Very Qualified And Educated Leads"
I have known Michael for about 3 years now, we did a interview back then and that one single interview continues to bring in qualified leads month in and month out. It still amazing me that the interview that we did that long ago, although still very accurate an relevant content, continue to provide very qualified and educated leads for me every single month. "I've learned almost everything I know about creating and selling high ticket products using simple audio interviews from Michael Senoff." His help and advice have been invaluable over the years. "His Database Marketing Tactics Are Effective to Generating New Business"
Michael is one of the most professional and innovative marketers I have worked with. He's attention to detail and ability to ask the right questions has created some of the best teaching audio products. These have been great tools that customers have successfully used to license their intellectual properties. Through our marketing partnership, Michael has helped me to expand my customer base and develop new clients. His database marketing tactics are effective to generating new business. I highly recommend Michael to anyone seeking an online marketing partner. Ok, enough about what I can do for others. You want to know can my service help you. I can't say for sure if I can but I'm willing to take a closer look at what you want to do. Here's some of what I can do for you. Please review the steps below and get back to me by phone or e-mail and let's see if this can be right for you. I am going to interview you. But it's not just going to be any interview. When we're done, you will walk away with the most comprehensive, information-packed interview about your product or service possible. And don't worry, it's not going to sound like a cheesy infomercial you hear at 3:00 in the morning. I've been doing interviews for a long time. I know how to research an audience and give them what they want. And I'm not going to let you sound bad. In fact, let me tell you exactly how we're going to put this interview together so that you come across sounding like a knowledgeable, informative, yet down-to-earth expert. Before we officially record anything, we're going to sit down and brainstorm, researching and discussing both your market and your angle. We're going to make sure we cover all the features and benefits of your product or service, and all the objections too. We won't leave any stone unturned. But that's really where your job ends because I'm going to do all the grunt-work. I research all the questions to ask you in the interview. And I'll do all the editing and production work as well. But you will have to decide what kind of offer you want to include in the interview. It needs to be some sort of call-to-action, but can be anything you want. You can have people call your phone number. You can tell people to go to your website to get a free report. You can direct people to a phone number that's routed to your sales staff or product specialist. The possibilities seem endless, and we'll go over what you want before the interview begins. In addition to the call-to-action, we're also going to want to stress why people should go to you instead of your competition. Because this is a fundamental part of your marketing campaign, we're going to want to include some success stories and case studies that highlight those reasons. By the time we're finished, you'll have a hard-hitting audio that keeps listeners interested from start to finish. And you'll have full control over the whole interview process. Nothing goes live until you say it's ok.
You can review all the questions before we go near the record button and if you don't feel comfortable about anything, we'll stop and talk about it. It's very important that your digital audio interview is completely perfect. Otherwise, there's no reason to go on to any of the other steps in my Audio Marketing System. And we'll make sure your audio is perfect. Like a book on the New York Times bestseller list or an Academy Award winning movie, impeccable editing makes a huge difference. And your audio will be edited to perfection. This step alone can take up to five hours for one hour of audio. So don't worry about all of the ums, ahs, giggles, stutters, clicks, pops, or hisses. I've got them all covered. In fact, if you listen to any of my audios, you might wonder how I think so quickly on my feet. It might seem like I never stumble over my words or pause to find my place. The truth is, I'm just a meticulous editor. I don't want there to be anything about an audio that distracts the listener from the message. That's the reason I spend so much time on this step. Smooth, error-free audio is simply easier and more pleasurable to listen to. I know that whenever I'm listening to a recording that's riddled with huge mistakes, I hit the stop button and listen to something else. Prospects are no different, and we can't afford to disappoint them like that. I will make sure we don't, even if the editing phase takes longer than the production did itself. Word-for-word transcripts will probably be more valuable to you than gold because there are many different ways you can use them to sell your product or service. You can upload the digital version of the transcripts and send them through the Internet to anyone in the world. You can print them out and mail them to potential prospects or make the hardcopy pages into a booklet. And let's face it, even though this is the digital age, many people still don't have much access to a computer or the Internet. And a lot of people are just technically challenged and aren't skilled at listening to audio online. But most folks can open a document and this step makes sure they're able to. What I've also found is that some people just prefer to read. Maybe that's because they read faster than they can listen to audios, or maybe they just like to highlight areas as they go along. No matter what the reason, having the word-for-word transcripts of your interview will be an additional way to get your sales message into the heads of your prospects. And we want to make sure that message is available in every format possible. That's why your transcripts will be delivered to you on a CD Rom in both a Microsoft Word document and an Adobe PDF file. You will be able to edit the transcripts and add your website link along with any personal information you want such as your name, address, pricing or any other supporting literature. Even if you already have digital or printed documents that sell your product or service, you'll probably want to include your typed interview transcripts with them. If you are mailing to your customer list already, you can include these transcripts with your mailings to make them even more valuable. Having word-for-word transcripts not only makes sure your message gets out to all your prospects but will also allow you to have a complete marketing package of your audio interview. Just because you've created the perfect audio doesn't mean people are going to flock to it. You have to give them a reason. And that's where this next step comes in. It will outline exactly what the listener will get from your audio, and will essentially act as your sales promotion. Because it is custom-made for your interview, I use a detailed process to put it together. Once I have the digital master of your edited audio, I will listen to your interview no less than three times. Each time I listen, I will take meticulous notes on all the key points of your message. Then I'll create a powerful headline and description that will give the prospect just enough information about the audio to get him wanting more. Keep in mind that this description is going to be seen all over the Internet and will be used to get traffic back to your website. Like the cover of a book, it will be what entices people to invest their time in you. A well-written headline and description will get your interview listened to, downloaded, saved, and passed along. And like the audio itself, it needs to be error-free. Having bad spelling, grammar or punctuation will not only frustrate prospects but will also make you look bad. And I will make sure that doesn't happen. By the time we're finished with this step, you will have a well-written, mistake-free headline and description tailor-made for your audio and designed to sell your message. You'll get the final master of your audio interview mailed to you on a CD Rom. I'll also design professional artwork for it. And once you have the master, you can easily make copies of it. There are many places that offer CD duplication services where you can order as many copies as you'd like. And you'll probably want to order a lot because their uses are priceless. When you hand someone your CD, all they have to do is put it in their car or home CD player, and your sales message will start to play. Your Master CD is another tool that lets you sell without selling. It frees up your time because you're no longer selling one on one, you're selling one on many. Think about it. When do most people play a CD? They play it in their car. It will be like you riding along with your prospect in the passenger seat selling them on your product or service without any interruptions and without any effort. You can go to a networking event and hand out CDs to every person there. You can keep a stack of CDs in your car, at the office or in your home, and give them away to anyone you come in contact with who could be a prospect for your product or service. Your CDs could easily become your new audio business card just by putting all your contact information on them. Then you could mail them out to targeted prospects for just two stamps (2009 postage). And because you're giving away something of value, those business cards are probably not going to end up in the trash bin. But the best part is that it's no-pressure selling because you're simply handing them your message and letting them digest it at their leisure, whenever they're most comfortable and most receptive. This is how we sell in the digital age. And your Master CD will allow you to do that. A great way to use your master audio CD is to give it away for free in order to get prospects' contact information. But you need a web form to do that, and this step will give you one. 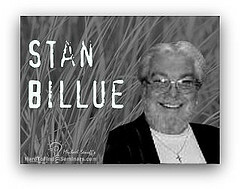 On my site, hardtofindseminars.com, I give away an audio CD with 61 hours of my best audio interviews on it for free. I even pay the shipping. Why do I do that? I now have a long list of prospects that I mail promotional stuff to. I have their first names, last names, email addresses, street addresses, phone numbers, fax numbers, personal information and more. If you have visitors coming to your website and you're not collecting information from them, it's as if they were never there. And you're just throwing away money. That's why I will set up and build a web page for you where prospects can enter their contact information in order to get a free CD. All of their information will be automatically stored in a database online. And once you have that e-form on your web page, you can follow up with sales calls or emails. Let them know you received their information and that their CD is going out in the mail soon. Then, you can follow up with an automated email that asks, "Hey, did you get your CD? I just wanted to make sure you find some time to listen to it." Don't forget to reiterate some of the benefits that they'll get from your sales message in your email. With this form and database, you can keep in touch with your prospects all at one time with just the click of a mouse. And this will all be set up for you in this step, even if you don't currently have a website. Now that we have your audio interview recorded, edited, transcribed, described and on a Master CD, we'll need to make it simple for the audio to get passed along and shared digitally. Getting others to share your interview with the people they trust costs you nothing because I will create two tools that will make this happen. First, I will make a digital audio play button for your recording. Your audio play button will allow you to send anyone in the world with Internet access a website address where they can play your interview. Even though you don't need to have this button to download an mp3 file, you'd be surprised at how many people don't know how to do that. Fortunately, even the most Internet-challenged person in the world can go to a web page and click on a play button. And with this play button, they can also fast forward, rewind or pause the interview. You and your message will instantly become more powerful than the world's largest radio station because you'll be able to broadcast your message worldwide - and all for free. The second part of your audio delivery package is a download-access link. Your play button only allows your audience to listen to your interview online through their computer speakers. But this is not the only way we want to distribute your audio interview. People today want to take their Internet with them. So we're going to let them do that. This link will allow your website visitors to download your interview so they can take it with them on the road. With millions of iPods, smart phones and mp3 players, people are listening to their audios while they exercise, drive, garden, make dinner, or wait in line at the grocery store. Having just one way to play your audio online is not enough for today's mobile and digital world. You want your audio interview to go viral and populate itself throughout the world. And with the growing craze of podcasting and small portable MP3 players, it's very easy to do this. There is not a niche or market that iPod cannot hit. From the simplest hobby to the most popular movie, everyone is using iPods and podcasting to entertain others or promote their products and services. And this link will let you be a part of it all. Your audio interview will be in the form of an mp3 file. You will have a link that I will set up on your site so your potential prospects can download the interview. Once downloaded, your prospects can play it on their computer, "burn" it to a CD, or load it onto an iPod, digital mp3 player, iphone or Blackberry. They can also take the mp3 file and load it on a file-sharing website to share your interview with millions of other people. The possibilities are endless. Releasing your digital interview is the MOST important thing you can do to get your sales message out onto the World Wide Web. And this step will make that happen. If you already have a teleseminar, audio interview, video promotion that you are currently using to promote your product of service and you just want the marketing services without the Basic Interview package call 858-692-9461 and ask for Michael Senoff for questions. Pricing will depend on the scope of each individual project. Please call Michael at 858-692-9461 to discuss your project. 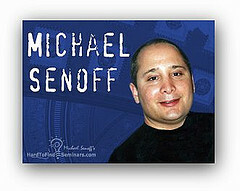 Michael Senoff is a marketing strategy expert and business consultant. 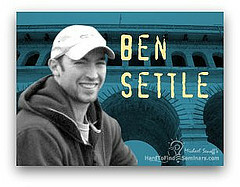 He is the creator of http://www.hardtofindseminars.com. a website that offers free marketing interviews with some of the most respected experts in selling, copywriting, marketing, psychology, and more. Michael knows how to turn businesses around and is known for helping business owners explode their sales and grow their business. Michael Senoff always had an enthusiasm for entrepreneurism. He ran many different businesses from retail, wholesale, direct mail, and selling. He is a student of marketing, copywriting, advertising, and business. His passion has given him a vast experience in all different areas related to business. A few years ago, Michael did some very unique. He opened up a site called http://www.hardtofindseminars.com and rather than selling audio interviews he recorded with experts, he decided to give it all away for free on his site. Anybody can simply visit his site and browse through 157 hours of audios, download transcripts, and even download reports. Michael is also an experienced copywriter and often writes ads for himself and his clients. He has an interest in direct response advertising and his site Hard to Find Ads holds a vast collection of direct response ads. You’ll see ads from the 1920s-1960s, find ads by respected copywriters, ads from popular magazines, and a collection of headlines you can use for your own ad. Michael sells many different products. 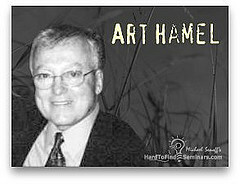 If you visit his site you’ll find the Joint Venture Magic System, Art Hamel Business Buying System, Information Product Creation System, Claude Hopkins Advertising collection, and many more.